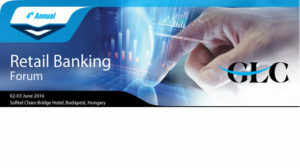 NF Innova is the event partner at the 4th Retail Banking Forum which will be held on 02-03 June 2016 in Budapest, Hungary. Retail Banking Forum is a unique two-day summit with exclusive international financial industry representatives discussing the latest innovations as well as challenges in the Retail Banking of the future. As the sponsor of the event, NF Innova will promote its Digital Banking solutions on the first day of event with “True Digital Banking” presentation by Eldar Banjica, NF Innova’s CEO. The participants will have an opportunity to learn about tangible innovations behind Digital Banking, lessons learned and critical success factors of the prime Banks in the region. Visitors will receive more information at the Innova exhibit stand, view the products demo presentations and opportunity to discuss their business needs in more details. For registration information and program details, please visit https://glceurope.com/retail-banking-forum/ .